Auto Attendant | 8x8, Inc. The Account Manager is your online portal for managing your company’s phone system. Account Manager is only accessible by 8x8 account administrators. You can access it here. Login information can be found in your welcome email. A User Profile is required to give someone access to your 8x8 system. 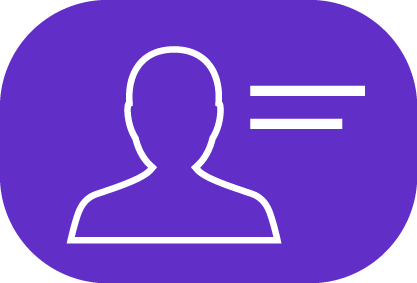 A User Profile must be created before assigning a user to an extension or feature, or to grant administrative privileges to your Account Manager. A User Profile can be assigned to multiple extensions, giving the user the ability to use the same username and password to access Virtual Office Online for all their extensions. You can create profiles one at a time, or upload multiple profiles from a CSV file. After a User Profile has been assigned, extensions can be connected to User Profiles. From the Extension menu details such as caller ID, time zone, E911, voicemail settings, call forwarding, extension membership, communication preferences and Virtual Office Pro Information can be edited by the system administrator in Account Manager. Incoming calls can be sent to a group of extensions called a Ring Group. Ring Groups allow you to join multiple extensions to ring all at once, round robin or in a specific order. They are useful for efficiently distributing calls throughout a business. The Auto Attendant is a powerful tool for routing calls and providing information to your customers without tying up resources. Virtual Numbers are phone numbers that can be pointed to any extension in your system, from an individual’s extension to your Auto Attendant. Your main number in 8x8 will be a Virtual Number. If you wish to bring numbers from a previous provider to 8x8, you’re going to need to submit a number transfer request through the 8x8 Account Manager. When you submit this request, 8x8 verifies your information with your previous provider and they release the numbers to us.